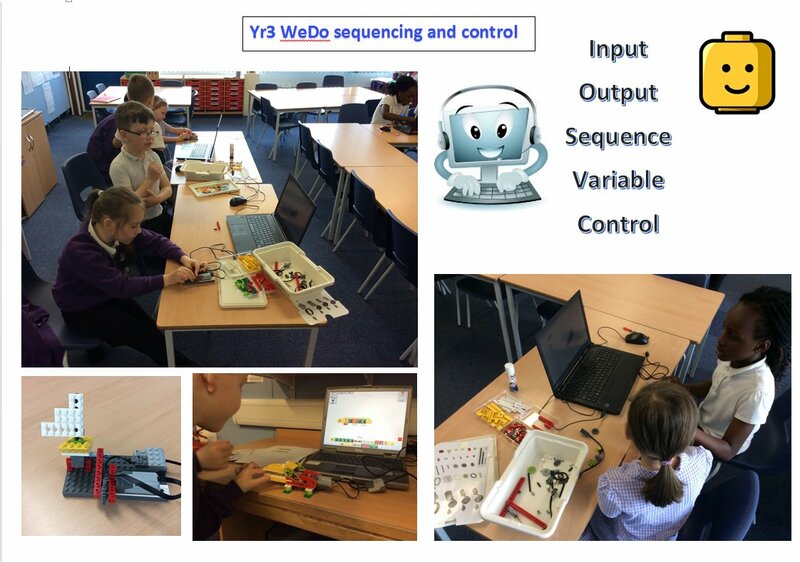 Yr 3 have been working with Lego WeDo sequencing software and construction kits to extend their computing knowledge. They have used sequencing software to learn more about computing language and go on to learn about simulation. 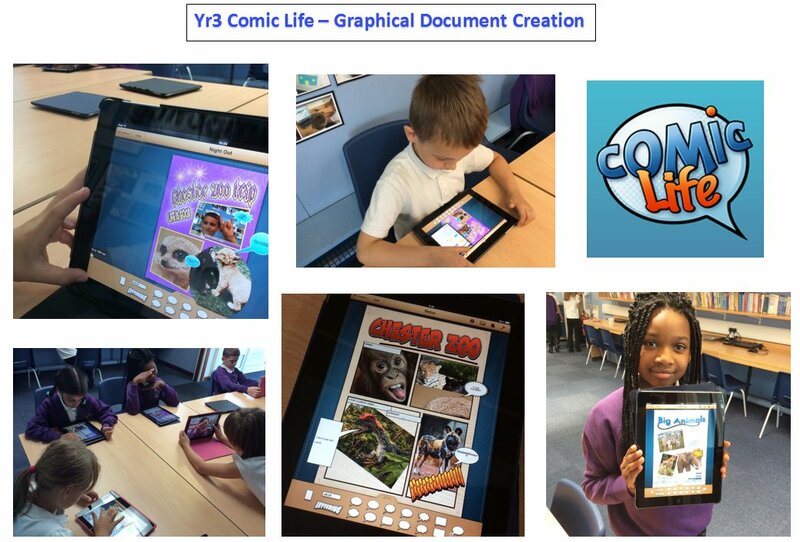 They have also used an iPad application called Comic Life to create comic style picture / speech bubble type documentation as part of a whole school multicultural week looking at various countries around the world. A tilt sensor is being used to count how many times the boat rocks back and forth. Code has been written to update a count on the screen. Yr 4 have been working with Lego WeDo sequencing software and construction kits to extend their computing knowledge. 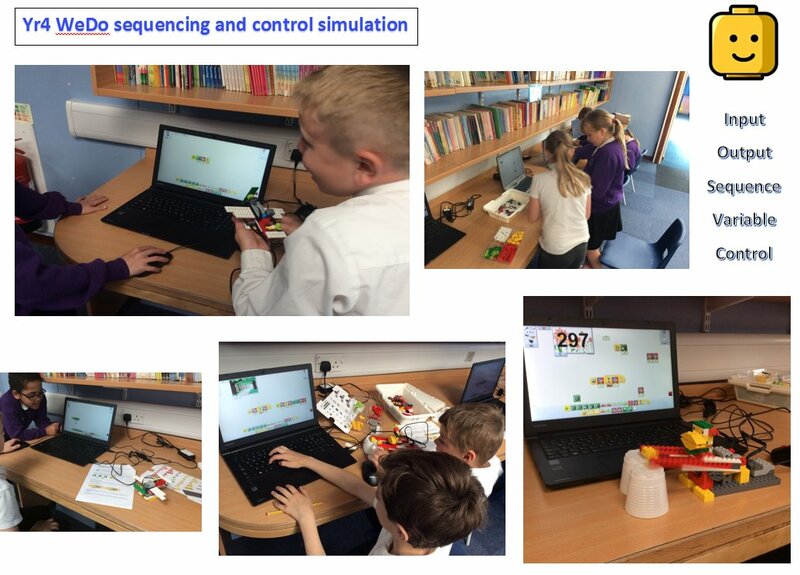 They have used sequencing software to learn more about computing language and its application including inputs, outputs, sequences, rules and instructions. They have integrated sensors into their models as part of work on simulation. 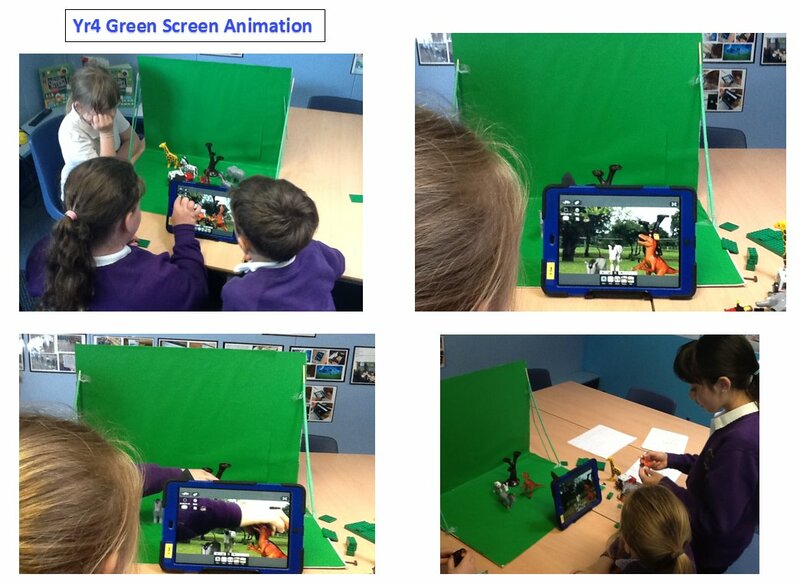 They have also used an iPad green screen application to create animated videos based on their visit to Chester Zoo. 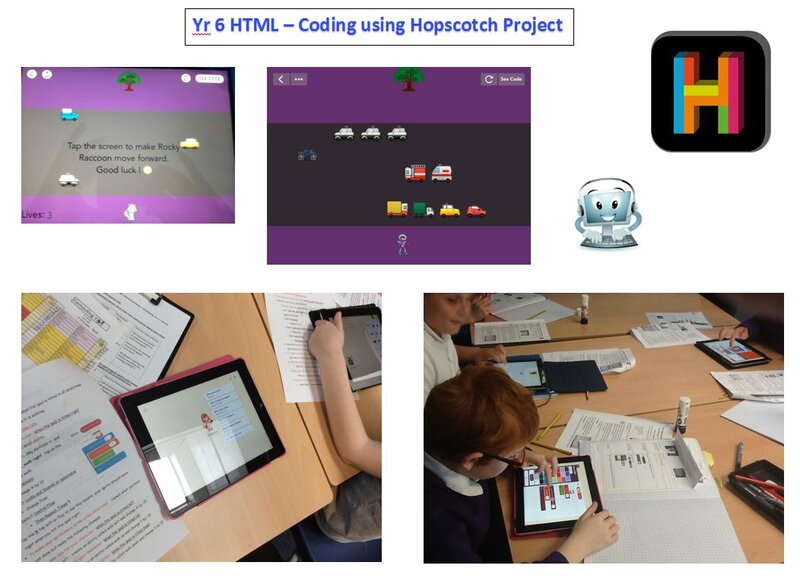 Yr 5 have learnt about coding using Ipad Hopscotch whilst following tutorials creating basic games. They now understand that thought has to go into the creation of a game or any other type of application right from the start. 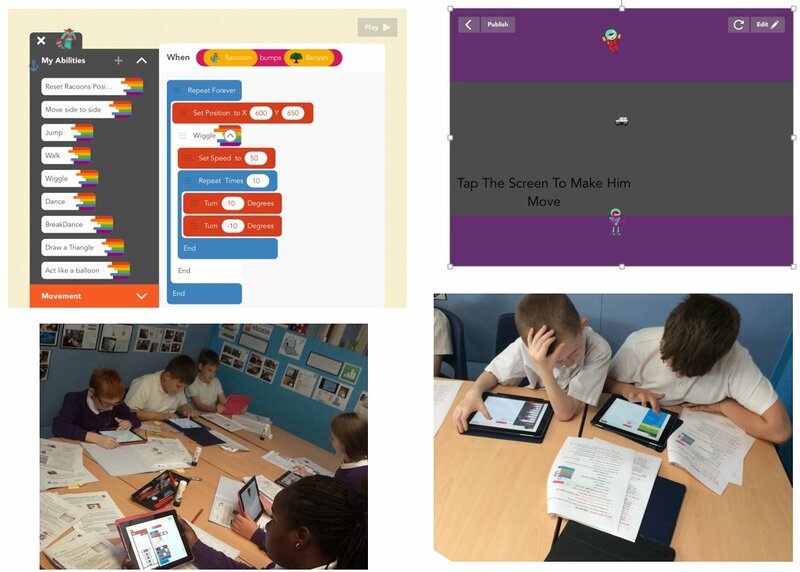 They learnt how to move characters, detect bumps, display messages and create backgrounds. 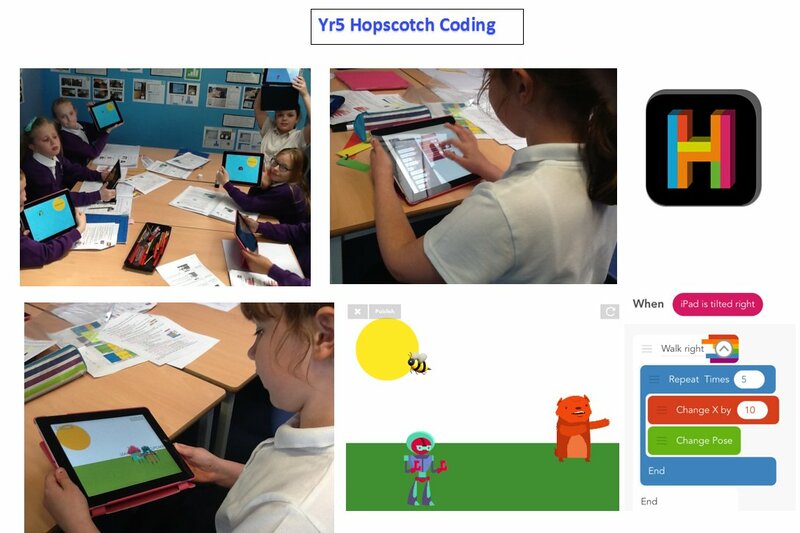 Yr 6 have increased there understanding of coding using Ipad Hopscotch whilst following tutorials creating basic games. They now understand that thought has to go into the creation of a game or any other type of application right from the start. They have increased there knowledge on how to move characters, detect bumps, display messages and create backgrounds, add emojis and timers. This entry was posted in Uncategorized on August 25, 2016 by donningtonwood.